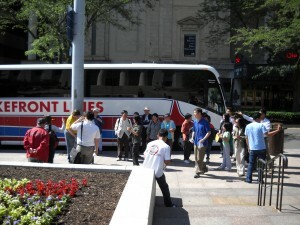 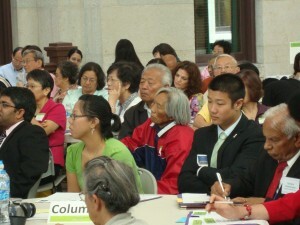 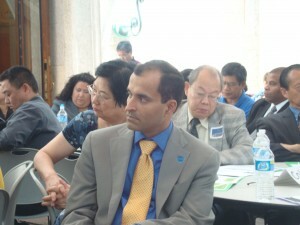 Ohio’s first-ever AAPI Legislative Day, held June 8, 2010, in the Main Atrium of the Statehouse in Columbus, was an overwhelming success. 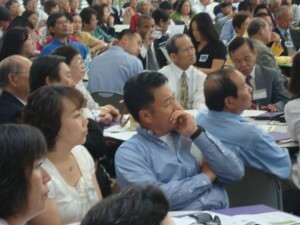 Nearly 400 AAPIs from across Ohio came together to understand their collective power and learn about each other’s communities and the importance of political engagement. 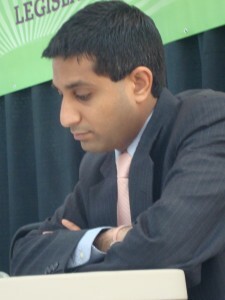 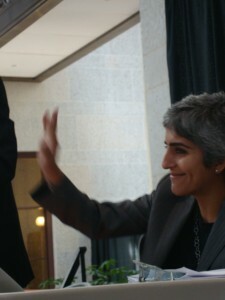 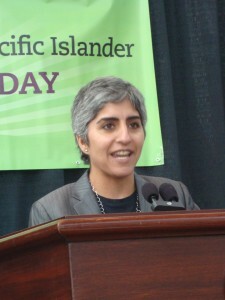 Keynote Speaker Kiran Ahuja, the Executive Director of the White House Initiative on AAPIs at the event. 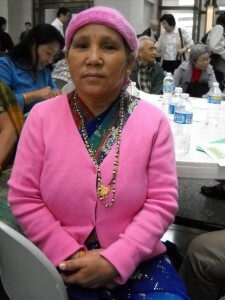 Tulasha, Buddhi and their respective families arrived in the US about a year ago after almost 20 years in refugee camps set up in Nepal for people fleeing the oppressive Bhutanese regime. 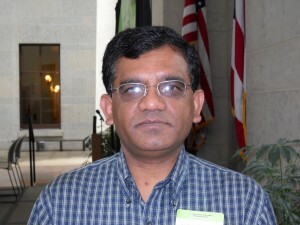 On the bus to Columbus and speaking through a Nepali interpreter, both were at a loss to define where they were going or what would happen there. 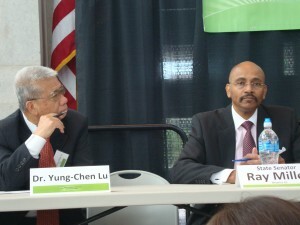 But they were emphatic about the challenges they now face. 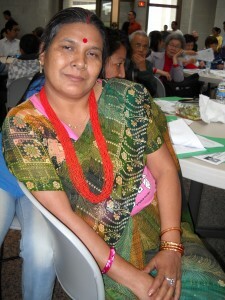 Their inability to speak English, a lack of work and training, no health insurance (an NGO provided eight months worth at first but now that’s over), surviving on food stamps and working odd jobs to pay the rent. 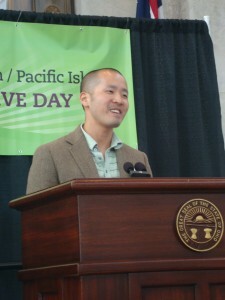 Nao is a first generation immigrant on a student visa who just graduated, in May 2010, with an MBA in healthcare management from the University of Findlay. 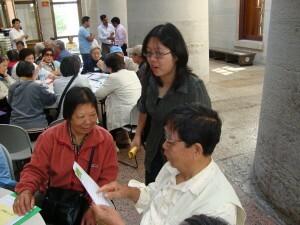 She’s now working in a hospital, helping Japanese immigrants who find themselves patients with translation and other help. 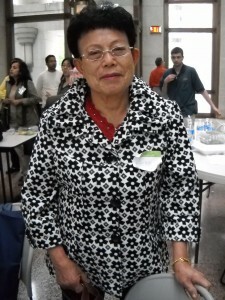 She came to the Legislative Day in hopes of connecting with other Japanese American communities and learning more about healthcare legislation. 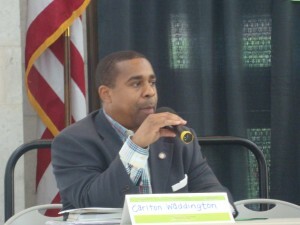 State Rep. Carlton Weddington (D-27) answers a question during the legislative panel. 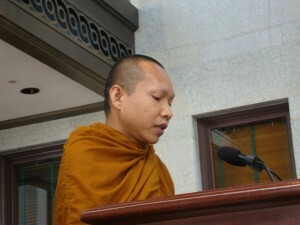 Pra Ajarn, a monk from the Wat Ohio Dhammaram Buddhist Temple, gives an opening benediction.